This disease is caused by various fungi, Botrytis species, which produces a fuzzy, gray coating on the flowers and stems of many plants. When infected flowers are picked, a puff of gray spores can usually be seen. 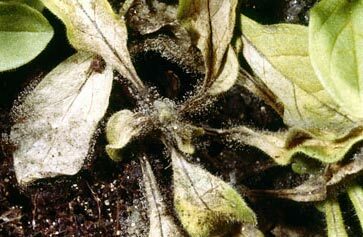 Infected areas of the plant will eventually be soft, slimy and decayed. Prevention and Treatment: Reduce disease development by keeping plant surfaces dry, removing aging flower blossoms and providing good air circulation. Do not overcrowd plants. The best solution is prevention provided by healthy soil and organic soil amendments. The curative controls are garlic and whole ground cornmeal. 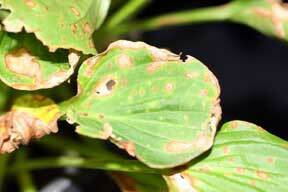 For gardeners who still use high nitrogen fertilizers, this is an especially bad problem in pansy crops.